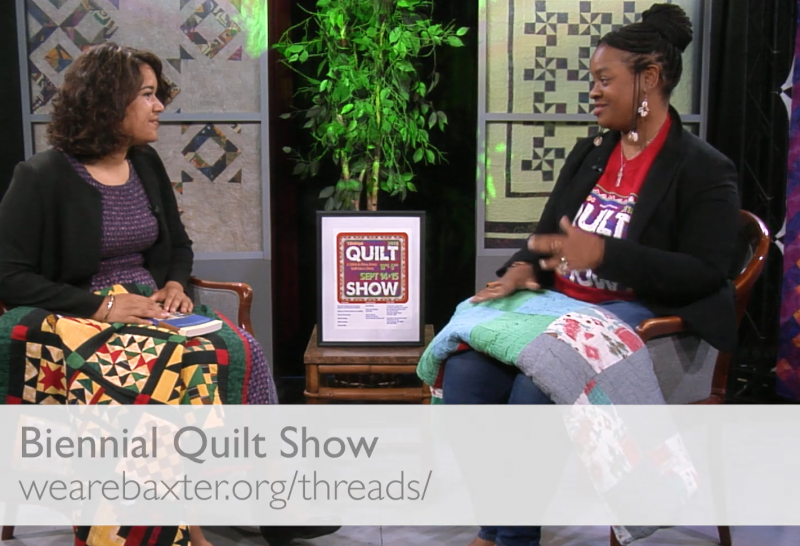 Biennial Quilt Show - NPO Showcase from GRTV on Vimeo. It was a day to feast the eyes at the NPO Showcase when Erica brought some of the past submissions from the Quilt Show to display on the show. Erica Millbrooks shares the eccentricities and beauty of quilting and its role in the Underground Railroad. Erica invites everyone to the 2018 Threads Quilt Show on September 14-15 at Baxter Community Center. This year's theme is "A Stitch in Time, Every Quilt Has a Story". Guests will have an opportunity to vote on their favorites. Learn more about the event or to submit a quilt here.